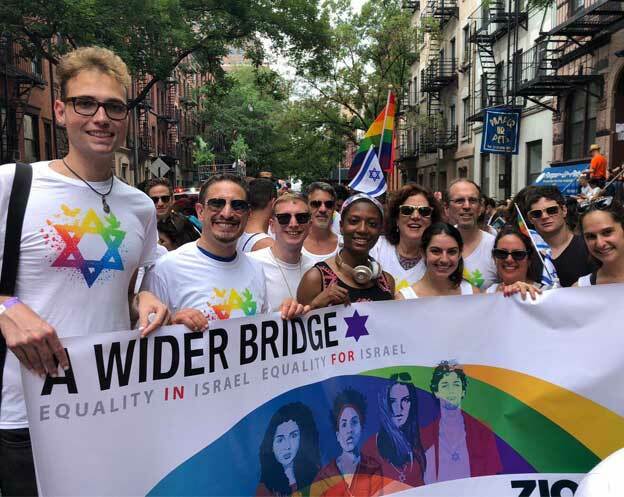 Through community trainings, A Wider Bridge provides toolkits for communities and leaders to become more knowledgeable and better-equipped advocates and supporters of Israel and LGBTQ rights in Israel. We work with communities and individual leaders in North American politics, activism, religion, culture, and media. Our trainings engage diverse audiences: Jews and non-Jews; LGBTQ people, allies and future allies; progressives and conservatives. To host an AWB training, click here.